In order for India to truly hold its own on the global stage, there is a need to improve the quality of education imparted to children from under-privileged backgrounds, and also to improve their ability to communicate in English. India’s problem is not just unemployment – but also un-employability of a vast majority of the people of our country who are unable to communicate proficiently in English.80% of students attend state run schools where English is not the primary medium of education. A larger supply of confident, English speaking workforce would improve income levels and buying power for faster economic growth of our country. To reduce this shortcoming, Tata Interactive Systems (TIS) along with Bombay Community Public Trust (BCPT), NGO Muktangan and Learning Space Foundation have collaborated to provide high-quality standardized interactive English teaching aids based on the government prescribed curriculum to help children in state-run and private vernacular medium schools overcome the English barrier and become employable, with a program called ‘e-teach’. Tata Interactive Systems (TIS) is responsible for creating the instructional approach, graphics, integrating and testing the DVDs. Bombay Community Public Trust (BCPT) is responsible for fund raising, administration & accounting and project coordination. Learning Space Foundation is responsible disseminating the e-teach methodology in the rural areas in Maharashtra. 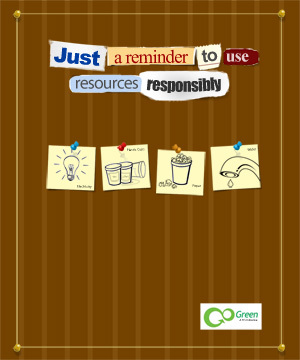 This project won the eMaharashtra 2012 Awards for the best multimedia content for K12. Ask the Expert: Which type of Learning Solutions can effectively enhance learning engagement? Over the years, the Instruction Design community at Tata Interactive Systems has developed innovative learning solutions, and our clients have benefited from the many features we offer. We’d now like to open up our in-house instructional design team to answer any questions about their areas of expertise and generate ideas to help the global L&D community. In a series of weekly ‘Ask the Expert’ webinars, beginning February 6, 2014 (2pm GMT), we will focus on 2D/3D Animation, Learning Consulting, Learning Portals, Business Gaming Simulations, eLearning & Blended Learning and Serious Games. But what does this all mean? And what actually goes into enhancing learning engagement and effectiveness? Practical approaches towards learning effectiveness evaluation using popular models like Kirkpatrick and Jack Philips. You will also get an understanding of how TIS helped clients win 8 Brandon Hall Awards in 2013. So, feel free to ask for in-house tips and secrets from one of the leading developers of learning technology solutions across the globe. 2013 was a great year for TIS. Some of the major highlights include 15 international recognitions, 4 global symposiums, launch of LEARNow and product innovations like Personalized Learning Applications, Spreadsheet Simulations and MOOCs. After 23 years in the custom learning space, and having delighted a global customer base of several hundred organizations, we continue to evolve and innovate using technology for better learning experience. This year we launched LEARNow, a cross platform, our ecosystem for mobility. LEARNow is a cloud-based, cross-platform, cross-device mobile learning ecosystem that allows users to author and deliver seamless learning content that transcends mobile devices and operating systems, at one go. Our clients feel confident that the authoring capability here is comparable to the generic toolsets for affordable mobile conversion and deployment –we invite you to have a look (www.learnow.com)! One of the most exciting partnerships we established was with a telecom major to develop a personalized learning environment. While adaptive learning technologies have been in the education space for some time, the transition to corporate learning environment often posed problems either due to constraints of an archaic learning management system or restrictions of security. Personalized learning environment is all about a cloud-based learner centric application that pushes content to the learner after reviewing his competency level based on his personal goals, as well as the community’s/organization’s expectations from him. How else would you want to see the multi-tasking millennial learn? With many learning experts socializing the concept of 70-20-10; the personalized learning environment is our answer to making the ‘70-20’ bit relevant and exciting to the millennial learner. The emergence of spreadsheet-based simulations has also been of significance for us. Spreadsheet simulations blend classroom experience with highly interactive and complex models built with lower costs, reduced development timeline, customizable flexibility and, elegant graphical user interface. Another trend that seems to be catching up is the advent of MOOCs (massive open online courseware) in education. While business models are still being debated and as educators unanimously critic about student adaption being not as high as student enrollment, we see a number of corporates already expressing interest to adapt the technology and concept for lifelong learning and professional development. We hope to launch a few MOOCs for our clients in the months to come! Similarly, as mobile technology evolves into wearable devices, it remains to be seen if these platforms become a disruption in online learning. Meanwhile, our practice teams are prototyping formats using augmented reality to suit the appetite of such devices. On a final note, the year 2013 also witnessed our association with Center for Talent Reporting as well as the introduction of TDRp standards to our customers globally. Season's Greetings and Best Wishes for the New Year from Tata Interactive Systems. Tata Interactive Learning Forum (TLF) India 2013, by Tata Interactive Systems, one of the leading developers of learning technology solutions across the globe, was held in Mumbai on October 10, 2013. The TLF is a global symposium where leaders and decision makers from the learning and development space come together to share their ideas, innovations, and insights. This unique platform provides learning leaders the opportunity to share their experiences in corporate learning, network with like-minded peers and examine case studies of key learning initiatives in other organizations. The theme of TLF India 2013 was “Meeting Strategic Organizational Goals through learning”. An Invitation-only forum, Tata Interactive Learning Forum was exclusively for SVPs/VPs/CXOs/Heads of HR and training functions. Raj Narayan - Chief Human Resources Officer, Titan Industries Ltd.
Shireesh Joshi - Head Strategic Marketing Group, Godrej Industries Ltd.
Anjali Chatterjee - Vice President: HR, Tata Communications Ltd.
Rajagopalan Purushothaman - Vice President & Director, Reliance Retail Ltd.
Kavi Arasu - Chief Manager: Corporate Learning and Development, Asian Paints Ltd.
Diptii Das - Head: HR (South Asia), Aramex India Pvt Ltd.
Rituraj Sar - Vice President and Head: Learning & Development, Lupin Ltd.
Rustom Vesavevala - Vice President: Learning & Development, Indian Hotels Co. Ltd.
Judajith Das – Chief: Human Resources, ICICI Prudential Life Insurance Company Ltd. Some key sessions at the forum included Enabling Key Organisational Initiatives through Learning, Meeting Strategic Organisation Goals through Learning, L&D Initiatives Impacting Business Outcomes, Building a Smarter L&D Team - role of a learning partner ,Training ROI - putting theories into action and Expanding the Boundaries of Human Potential to name a few. The event also had two panel discussions revolving around topics like Collaborative Learning & the Impact of Social Media – is it going to replace formal learning? and Leveraging Technology – how do organizations use technology to create a learning ecosystem. The forum saw participation from organization/institutes like Reliance Industries, Godrej Group, Bennett Coleman and Company, TCS, Religare, Vodafone , Titan, Aditya Birla Minacs, Tata Communications, Wipro Technologies, Tata Chemicals Ltd, Nomura, DHL, Asian Paints, Ashok Leyland, DBS Bank, Tata Steel, Kotak Mahindra Bank, ICICI Prudential and Tata Motors to name a few. Like every year, TLF India 2013 successfully maintained its purpose to bring leaders and decision makers in the L&D space to interact, innovate and inspire. As a market and thought leader in the training industry, the forum strives to push the boundaries of innovation in Learning & Development and is constantly evolving. 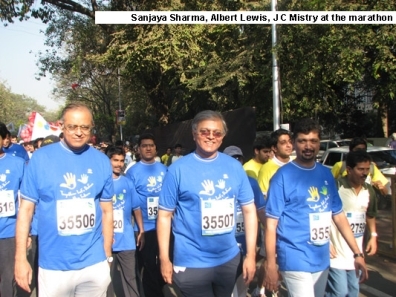 On January 20, 2008, TATA Interactive Systems (TIS) celebrated team spirit by participating in the fifth annual Mumbai Marathon. TIS has been running the marathon for three consecutive years in support of students with learning disabilities—extending its initiatives beyond schools and the teaching community. This year the participating TISians were sporting T-shirts promoting the message of the TLDF 2007—Together Let’s Define the Future, and even carried a banner spreading awareness of the cause. Click here for more pics. 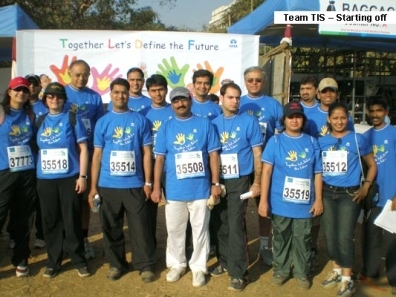 For the past year, I have been working at TIS as its first American employee based in India. It has been a thrilling experience; living in India has not always been easy, but it’s always been interesting. I’ve learned so much at TIS that it’s hard to know where to start, so I thought I’d start with my first day. On my first day, still jet-lagged and overwhelmed, I was pleased to find that I at least had no problem understanding people’s accents…until lunchtime. At lunch, my new friends took me into the cafeteria, where their work accents, good for conference calls and in-laws, gave way to a fast talking, and, to my ears, nearly incomprehensible banter. It turns out this is a common phenomenon; people unconsciously talk and write one way for business and another way in their personal lives. But at that point I could hardly keep track. People kept weaving in and out of Hindi and using English words in ways I just couldn’t understand. Indian English is a great language; brash and breezy. It varies enormously from one person to the next, depending on their education and where their parents are from. Some people switch v and w, others pronounce both like Americans pronounce w. Some people pronounce th like Americans do, others just stress the t a little more (give it a little spit at the end…you can do it.) Less educated people speak a functional, pidgin English that lets them communicate across India’s innumerable local languages. Indian English incorporates innumerable Hindi words, such as “wallah,” which basically means a guy. A rickshaw driver is therefore a rickshaw-wallah, a vegetable seller is a subzi-wallah, a newspaper delivery guy is a paper-wallah, and so forth. I have never written a story or an experience of this sort. I have visited Japan once in the past and worked with a lot of Japanese companies like NEC, Fujitsu, and Toshiba, to name a few. I had faint memories (none, to be honest) of my last visit. During this visit to Japan, what touched me was the hospitality and the kindness of the people. I have often heard about the Japanese being tough, difficult negotiators but what I saw of them during this visit was completely contrary. They are professionals in their field, they ask the right questions, and more so, are extremely hard working. I always thought that Indians work hard, stay late in office, speak to clients at odd hours, etc. And don’t we complain that we spend so much time in the office and hence have less time to spend with our family? The Japanese professionals are out to work when we were having a morning walk at 6 a.m. They were still in office when we were packing our bags to go back to our hotel. Most of the senior guys are in office until midnight and this is their daily routine. Wonder how they can work so hard, every day. During our consulting assignment we asked what is a normal day for a 4th grade kid is like. This was their response. Wake up at 7 a.m.
Public/private school from 8 a.m. to 4 p.m. Extra-curricular activities like football, baseball, karate, etc up to 6 p.m.
Special schools for another 3 hours (Now you know why I qualified the second point). While the public schools are in the same locality where they stay, the kid has to travel to go to a good special school. Sometimes this travel takes about an hour by train one way. By the time the kid gets home it is well past 11 p.m.
Once they are back home, they would like to play games. So much pressure on kids from such an early age and we talk about how school education in India puts so much pressure on kids and how there is too much competition. 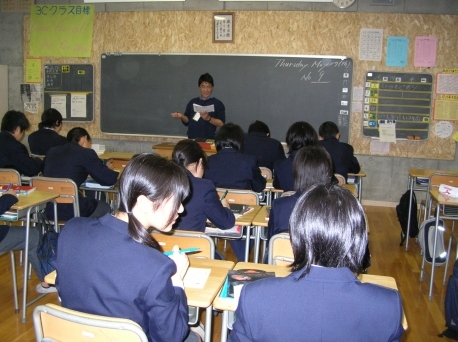 Another interesting characteristic of the Japanese is the punctuality. Be it trains, be it for dinner, or be it for meetings. You would rarely see anyone walk. They are always running, to catch a train, to go for a meeting. 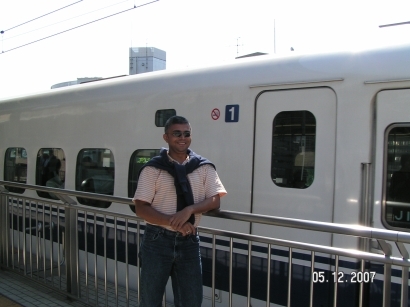 An interesting statistic to note is the average delay of a Shinkansen (Bullet train) in a year is 0.4 minutes. This includes delays caused by typhoon, rains, earthquakes, snowfall, etc. Punctuality is not by accident but by design and it is taught and ingrained in children right from an early age. After having visited and stayed in Japan for 2 weeks I think there is a lot to learn from the Japanese. Arigatou Gozaimasu means “thank you very much” in Japanese.